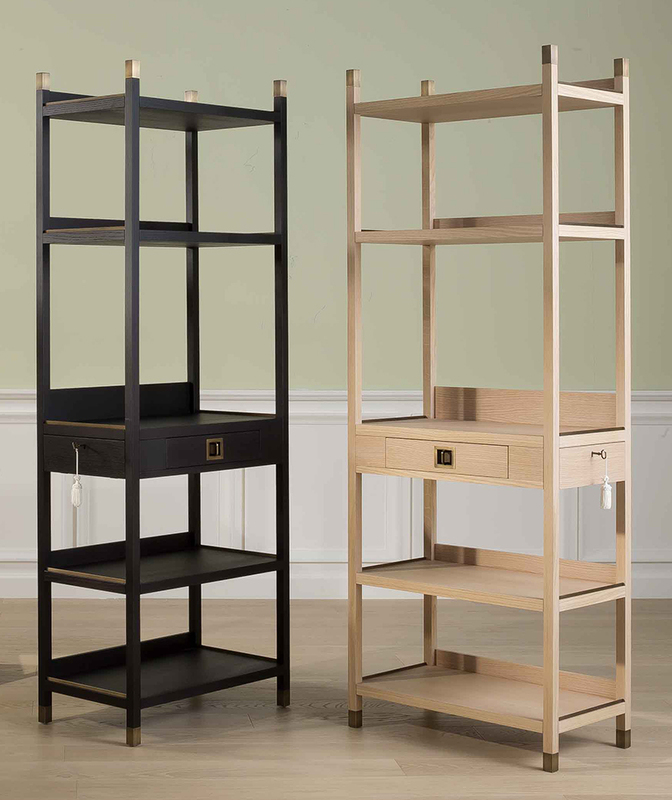 Bookcase unit in oak wood structure with one drawer in the middle. Champagne, grey stained oak and moka stained oak finish. Metal in ancient bronze finish.